Three-dimensional printing is an additive process of producing an item. 3D printing builds up an object in resin or metal or other materials. A nozzle squirts the material out a tiny bit at a time, building upwards and outwards. In contrast traditional methods like milling and drilling are subtractive – start with a large blank and whittle it down. The possibilities for 3D printing are thus limitless, constrained only by the printer. In a milling machine the object desired can be no large than the original block of material. And unlike traditional methods 3D printers can print mobile and jointed objects, not just static items. 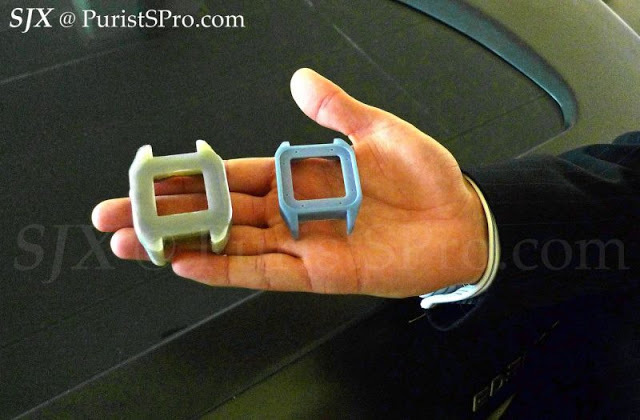 In horology, I first encountered three-dimensional printing at watch factories, where the process is used to make resin prototypes of watch cases to evaluate form and size. And the idea further developed in my conversations with Dr Bernard Cheong, whose wide ranging mind is fascinating but sometimes incomprehensible; he too is deeply interested in this technology. And then The Economist just ran a lengthy special report on the topic, which it calls “A Third Industrial Revolution” (accessible only to subscribers unfortunately). Intuitively 3D printing seems much more high-tech and less wasteful. After all, man has been creating objects by removing material (chipping away, engraving, milling etc) for millennia. Not only is 3D printing more versatile, it is much cheaper. Less material is wasted and more importantly, there are no economies of scale. The Economist cites the example of a hammer. To make one the traditional way, the head has to be moulded and cast, and then the handle turned. Both are then fitted together. Thousands have to be made to amortise the cost of the mould, which can only make a hammer head and nothing else. But a 3D printer can print the head and handle, just one of each, at the cost of the material only and the software programming. And then it can go on to print whatever else is desired. Additive manufacturing is the way of the future. 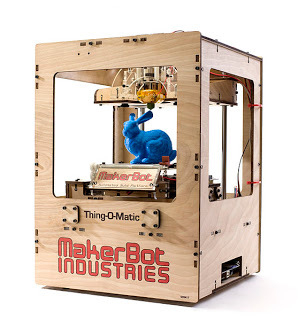 It is even emerging as a domestic technology, with affordable printers like the Thing-O-Matic from MakerBot which prints in resin. So what does 3D printing mean for watchmaking? Last year in my monthly column in The Peak magazine (available at newsstands in Singapore), I covered the topic with regards to personalisation of watches. Why engrave when you can print? “Now in its infancy but rapidly growing popular amongst the global nerd elite, 3D printers fabricate items by “printing” them… three dimensional printing will make personalisation… feasible. Traditionally such products required economies of scale to be viable… That is one reason why personalised watches have been uncommon. But the key is the dissolution of economics of scale. 3D printing allows for items to be made one at a time at reasonable cost. There is no longer a need for economics of scale. 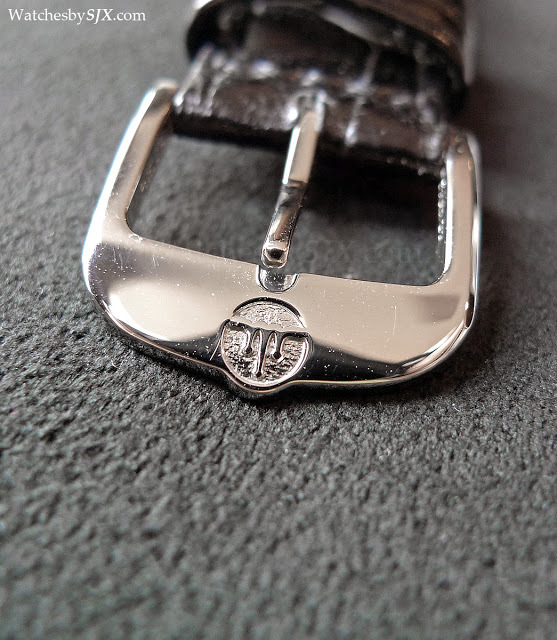 A watch case back can be printed complete with a monogram, coat-of-arms or logo, at a fraction of the cost of what engraving a case back would cost. So the future of watches might go like this. A client will have the choice of case materials, dials, hands and straps, with virtual mock-ups presented on an iPad inside the boutique. And he will also have the choice of personalised parts, perhaps something on the case back, or even a logo on the crown or clasp, all made possible by 3D printing. But that is the tip of iceberg. The Economist report cites the example of how curved, rather than milled, right-angle channels can be printed inside parts for aerospace engines, increasing efficieny. Just ponder what 3D printing can do for contemporary timepieces. 3D printing can produce the orb-like cage for the Jaeger-LeCoultre Gyrotourbillon at lower cost than the five-axis milling machine JLC current uses. Spare parts will be far easier, and cheaper, to fabricate as well. No more turning a wheel on a lathe. Imagine the possibilities for a printed watch case. They are today limited by the capabilities of milling machines. But with 3D printing a case can be printed with intricate detail inside and around – imagine a watch case with a lattice structure. And even better such cases can be made one at a time at reasonable cost because 3D printing has no economies of scale. At the same time I foresee the problems of replicas growing even bigger. 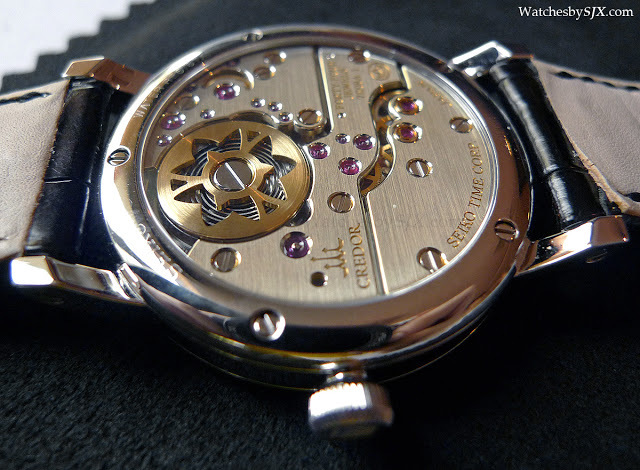 It is conceivable a real watch can taken apart and then scanned, part by part, and then replicated. 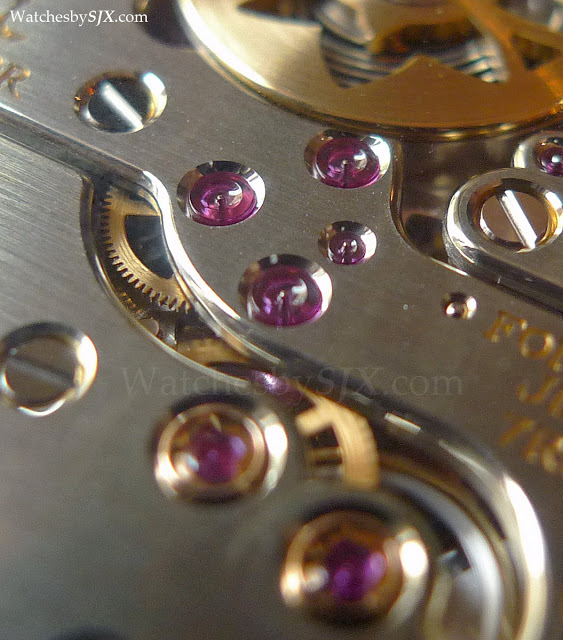 Equally likely is the replication of valuable components for vintage watches, like a crown or hands for a vintage Rolex. In fact there will be online communities of watch enthusiasts who print parts to modify their watches, or even band together to print a watch. Already the cutting edge nerds have 3D printing communities where they swap CAD diagrams for printable objects. In short, watches should get better (more detailed and interesting), cheaper and easier to repair. 3D printing will further widen the divide between true high horology watchmakers and everyone else I reckon. The watches at the zenith of horology, like the Dufour Simplicity or Seiko Credor Eichi, have a special quality that cannot be printed. The same cannot be said for a simple, ETA-based, steel case sports watch. All of that won’t happen anytime soon. 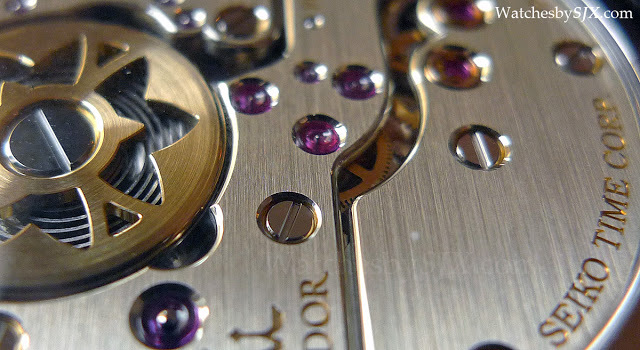 High-end watchmaking after all is built on history and doing things slowly. It only started using carbon fibre (or rather carbon fibre reinforced resin to be specific) decades after Formula 1 and the aerospace business. But once 3D printing comes to watchmaking it will change the industry. 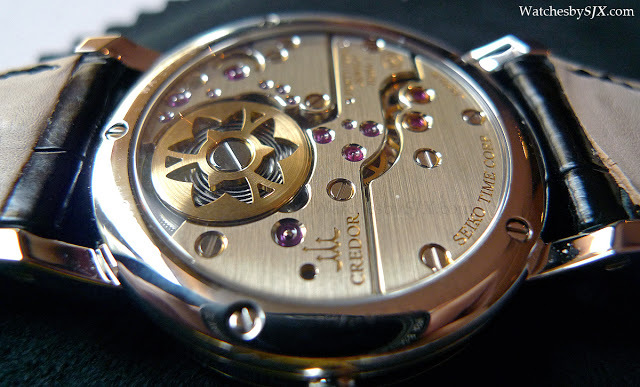 The Seiko Credor Node Spring Drive Eichi (ref. 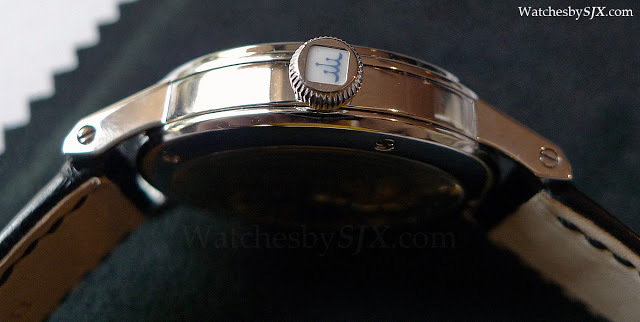 GBLR999) is one of the finest finished watches in the world – the photos speak for themselves. 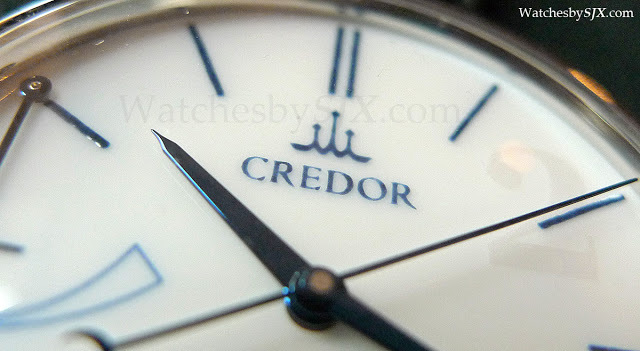 It was part of Seiko’s exquisite high-end Credor range that also includes the amazing Credor decimal repeater. 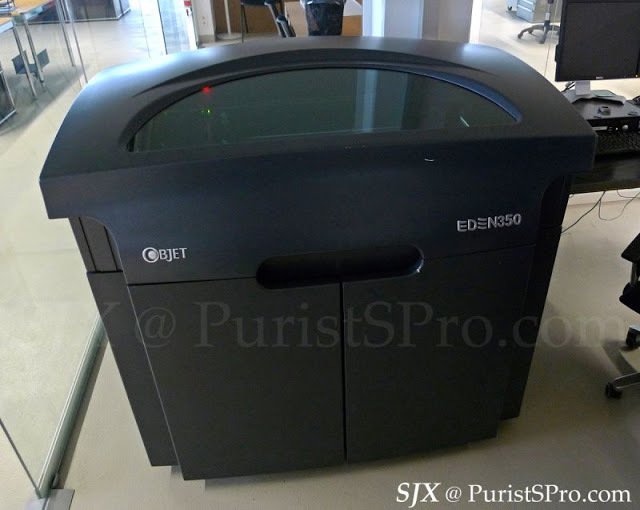 I use past tense as the last Credor Eichi was completed by Seiko Epson’s Micro Artist Studio in 2011. 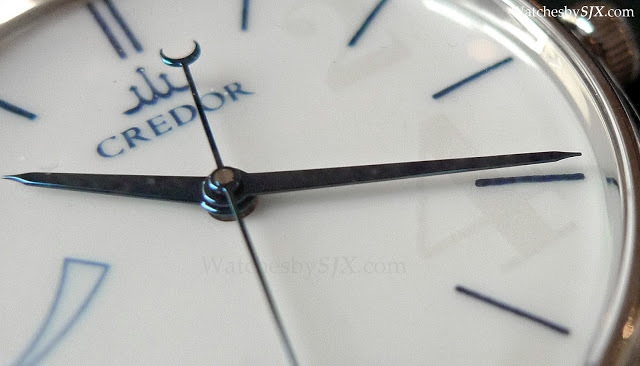 And one of the last, or perhaps the absolute last, Eichi watches was just received by its lucky owner. 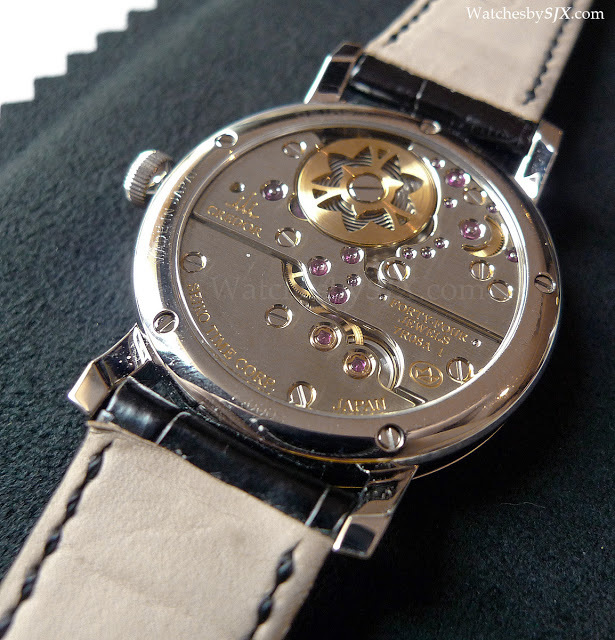 The Eichi retails for approximately US$70,000 and is labelled “Seiko Time Corp.” on the case back. Only a truly remarkable collector would buy an Eichi, because he must be able to overcome the branding and he must know how to appreciate the remarkble finish. Especially since the owner is non-Japanese, possibly the only person outside of Japan to own one. 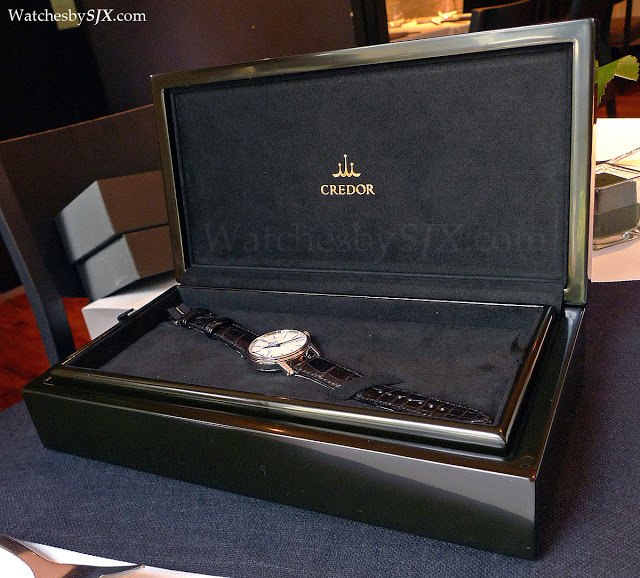 Unsurprisingly the packaging for the Eichi is as modest as the watch itself. A mere black lacquered wood box. 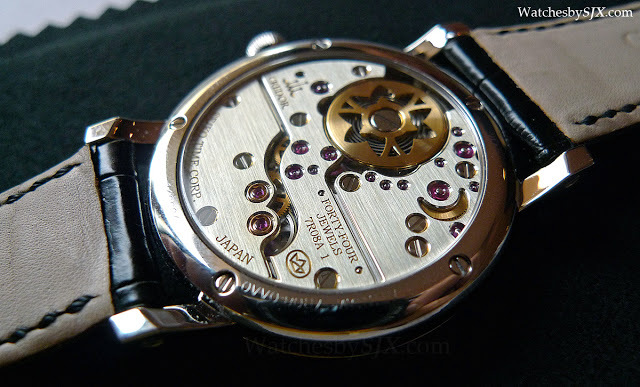 But inside sits an incredible watch. 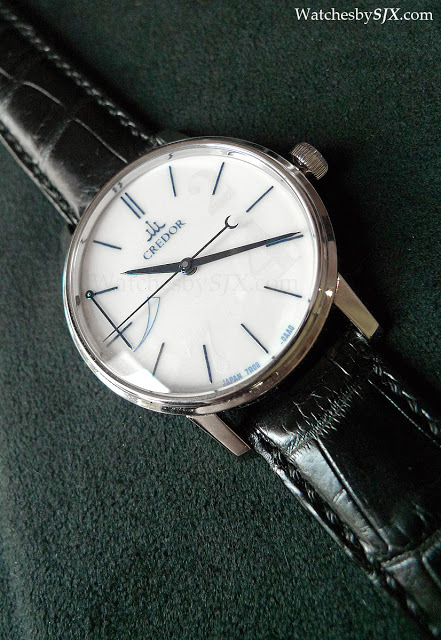 The dial is Noritake porcelain and also luminous in its whiteness. Everything on the dial is hand-painted but extraordinarily fine. 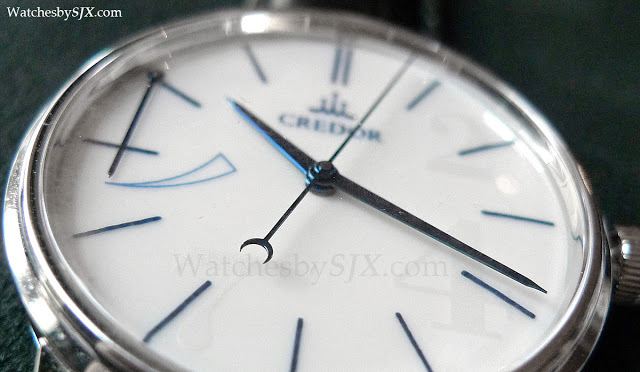 Equally superlative are the blued steel hands which are beautifully formed. A notable detail is the porcelain insert set into the crown, which is platinum, like the case and pin buckle. And over on the back the masterpiece is revealed. It is so well finished it catches the light like a jewel. 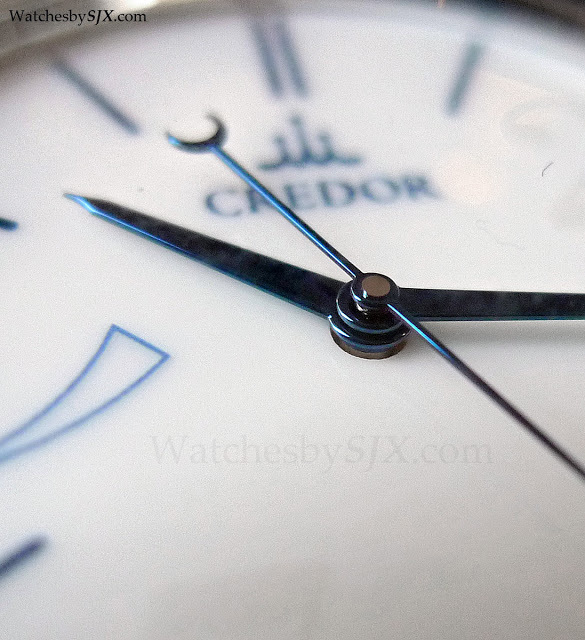 One of the finest finished wristwatches in the world, the Seiko Credor Eichi is now in its second generation. While the familial resemblance is clear, many small but significant differences exist between the Eichi I and II. I explore them here.